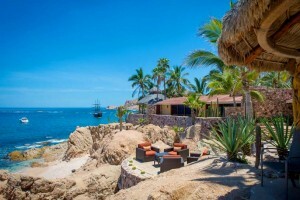 What are the taxes you must pay on your rental income in Mexico? When are these taxes payable? What happens if you fail to pay these taxes on your rental income? Serious penalties and interest can be assessed by the SAT and other tax agencies as well criminal charges might be filed. If you manage the property for the owner, you as the manager may have liability for failing to file and pay these taxes. How can I pay these taxes as a nonresident of Mexico on my income from my Mexican real property? If you are a tax resident of Mexico you can use your resident tax ID number and you have your Mexican accountant use your taxpayer identification number (RFC) to file and pay these taxes. However, if you are a nonresident of Mexico it is necessary to contact a Mexican professional or Organization (such as the Settlement Company) to file and pay these taxes. The Settlement Company in Baja Sur Mexico has developed legal method where these taxes can be paid by nonresidents. How are these taxes treated on my US tax return? CONTACT THE SETTLEMENT COMPANY AT THE PHONE, EMAIL OR SKYPE ADDRESSES BELOW WITH QUESTIONS AND TO REQUEST ASSISTANCE FILING AND PAYING YOUR MEXICAN RENTAL TAXES. Delay may end up costing you more.